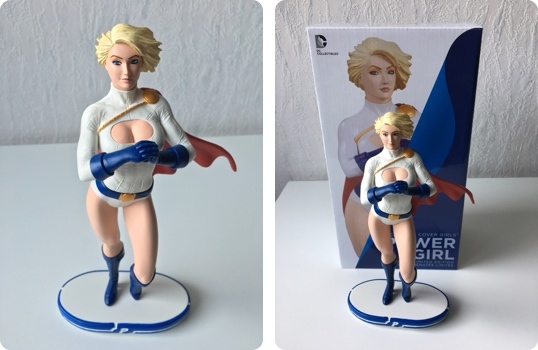 DC Collectibles continues their Cover Girls line with Power Girl also know as Kara Zor-L.
She is the cousin of DC's hero Superman, but from an alternative universe. Power Girl was introduced in 1976 in All Star Comics #58 and created by Gerry Conway, Ric Estrada and Wally Wood. The statue is individually numbered and limited to 5,200 units. She stands about 10-inches tall and was designed by Stanley »Artgerm« Lau and sculpted by Jack Mathews.